"For my entire life, my work has been about building community...the healing power of community!" because as we fully own oneself we recognize we have something to contribute. 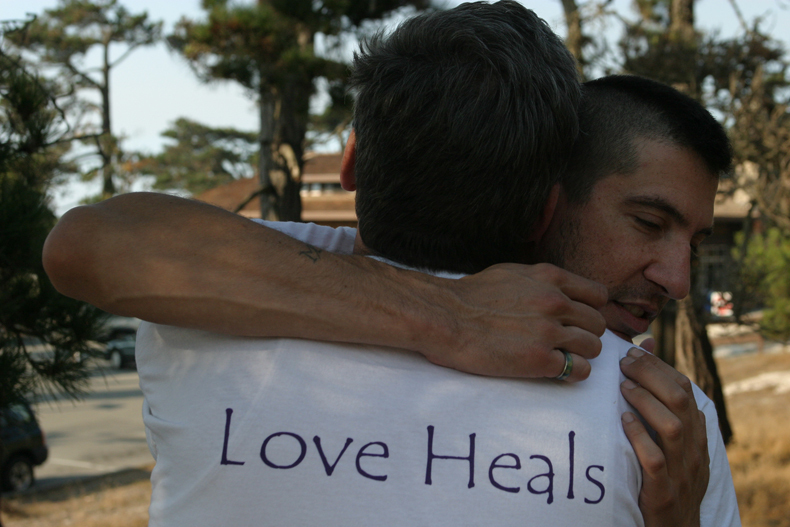 "I have a profound respect for the healing power of community. Something profound happens through our personal sharing and witnessing of our stories-isolation dissolves, fear subsides, a collective wisdom surfaces and we recognize our deep connectedness." 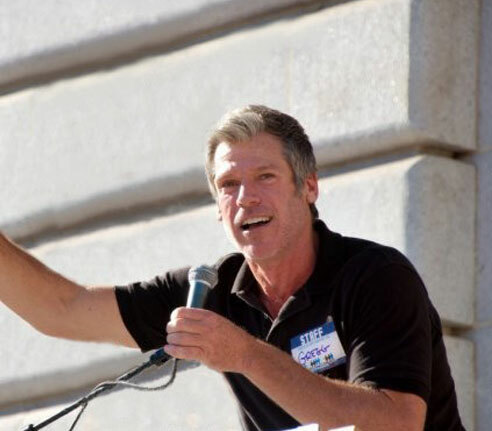 Gregg, a survivor of HIV for nearly 30 years, is a powerfully charismatic speaker and facilitator, working with universal themes of how life’s challenges and suffering present us with growth-filled opportunities. 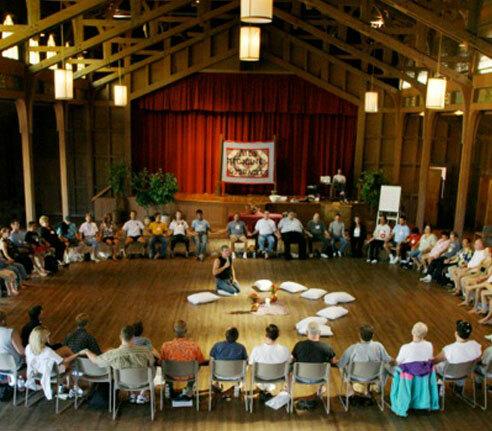 He has worked with the LGBT, HIV/AIDS and youth communities for over 25 years with his lectures, retreats and workshops. 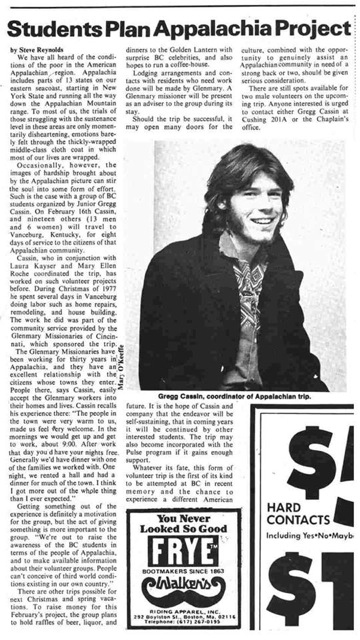 During the height of the epidemic Gregg began facilitating groups for people affected by HIV/AIDS. 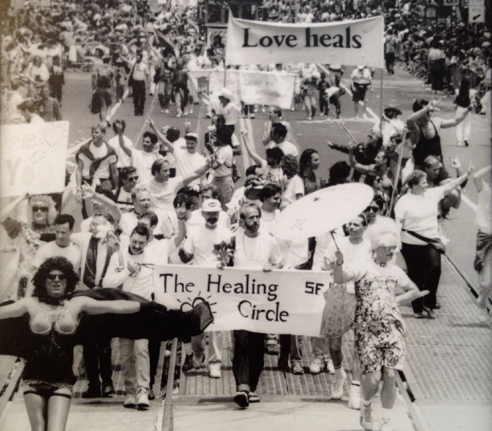 He founded the San Francisco Healing Circle, and the San Francisco Center for Living, as well as leading conferences and retreats around the country with AIDS, Medicine and Miracles. He is currently offering "Honoring Our Experience", a retreat program addressing the issues of long term survivors of the epidemic. 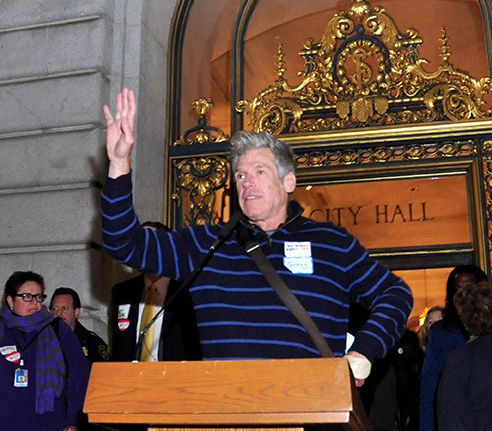 His contribution to the HIV/AIDS community has been recognized with the Certificate of Special Recognition from the U.S. Congress presented by Nancy Pelosi as well as honors from the City of San Francisco. He is seen in the ground-breaking documentaries "Absolutely Positive" and "That's a Family!" 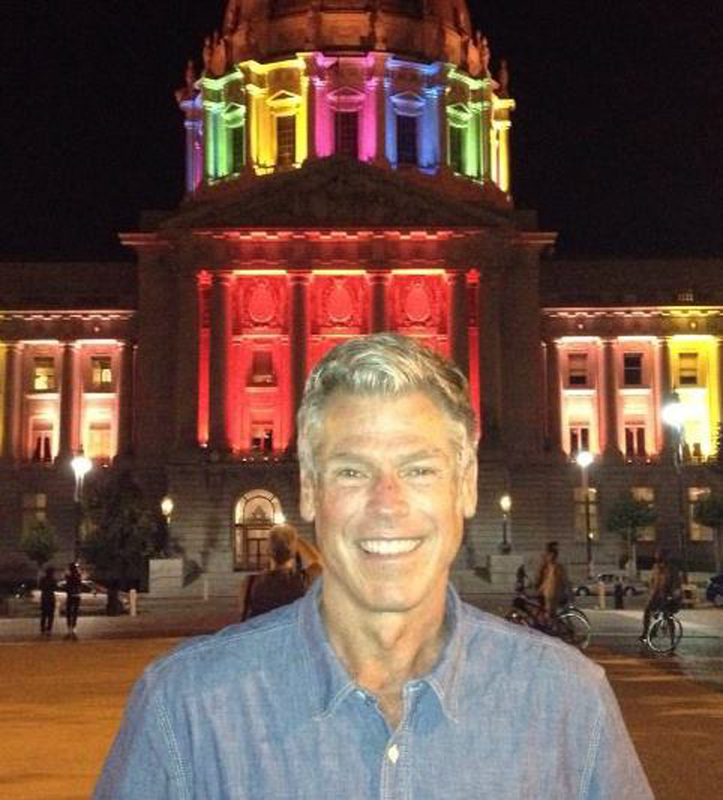 He is an LGBT rights activist helping to organize and emcee anti-Prop 8 rallies since 2008. But the greatest joy and accomplishment of his life is being a Dad to his daughter, Breauna. seeking to apply this body of knowledge and experience in the realm of corporate team-building and motivation. 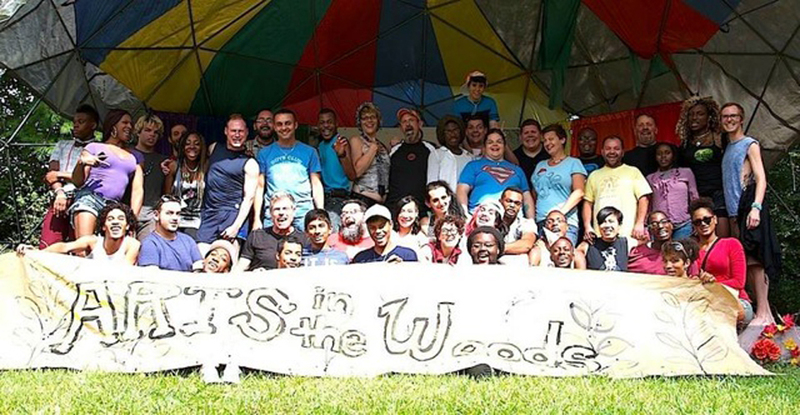 An amazing and empowering retret program called Arts In The Woods at Easton Mountain Retreat hosted by Hunter Reynolds and Wil Fisher. A program bringing together at-risk youth using the arts, and powerful group experiences, building self-esteem, new ways of self-expression, and fostering hope for an empowered future. 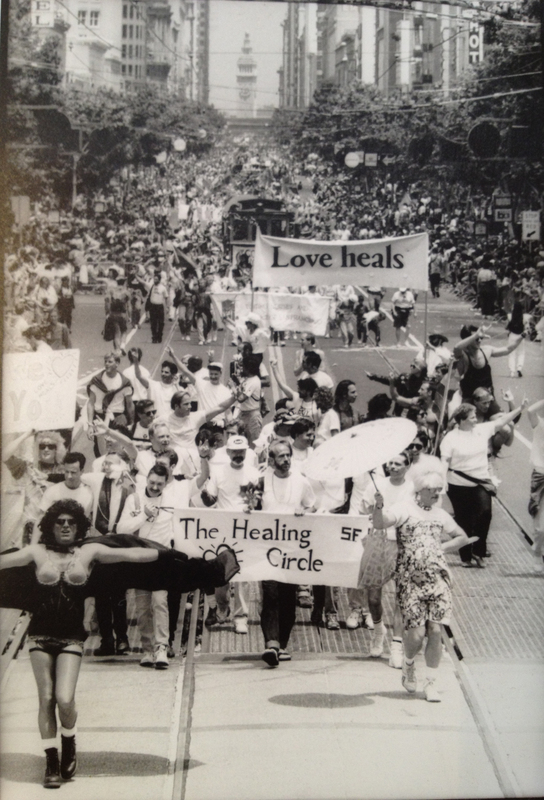 At a time when the AIDS epidemic is increasingly referred to as simply a part of our communal history, we call for an opportunity to come together to honor what we walked through and acknowledge what we continue to carry from those years. This gathering will be a place to share both our memories of that time as well as to honor the powerful shared experience of this time. Register here. Periodical returns to my alma mater, Boston College, to speak to the group that I founded in 1978. It was one of the first alternative spring break programs in the country where students volunteer in a community in need. Our particular group when to Vanceburg, Kentucky. It started as 20 college students in '78 and has grown to 600+ students throughout the country. For more info, click here. Like most of my presentations at high schools and universities, themes of self-acceptance, owning one's own life story, and the appreciation of differences in the communities in which we live. Simply by telling my own story - a journey towards self-acceptance - students get to reflect on their own journies and what a powerful opportunity it is to work on self love and appreciation. It's the perfect antidote to bullying and negativity in our schools. 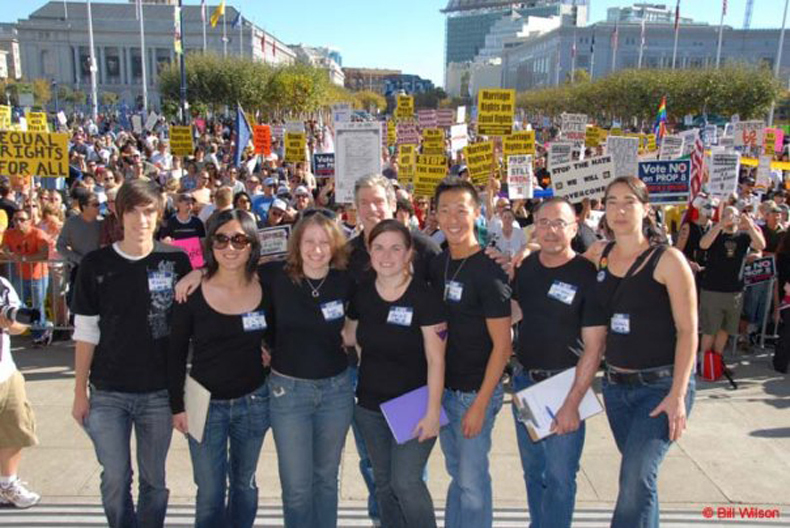 Working with local LGBT activists and scores of youth and students, both gay and non gay, we created an event for thousands of people in the Bay Area to gather together to celebrate one of the most important decisions in civil rights history. "Gregg has a special talent to create a warm, embracing, safe space where people feel supported and accepted as who they are. 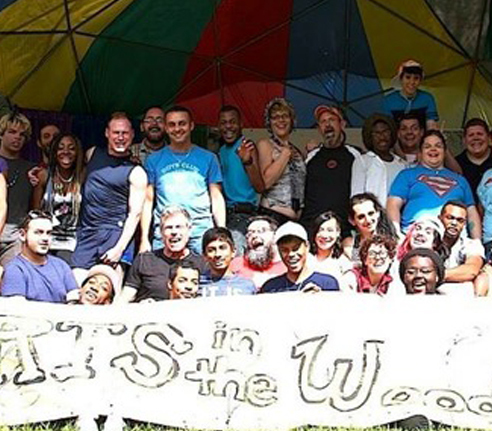 During the 5 days at Arts in the Woods, and also beyond those 5 days, we as a community have felt connected and intimate in an indescribable way. It feels as though I have finally found the queer home that I had been longing for and had almost given up to find. 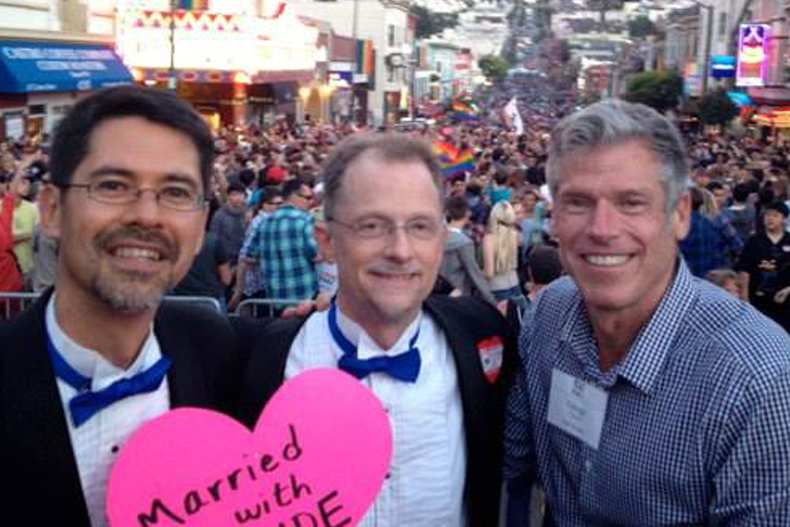 I have no doubt that Gregg played a critical role for me and for many others to find the home. Gregg took many risks over the 5 days and demonstrated that he was completely with us. He shared a very personal story of his with us, had long, late evening conversations with us, and pushed us enough to trust each other and share our stories from the very first day. Gregg is brave, caring, thoughtful, loving, tender, and strong. He knows how to trust people and also knows how to teach people to trust one another, which is something many of us struggled to do for years, or never thought possible. 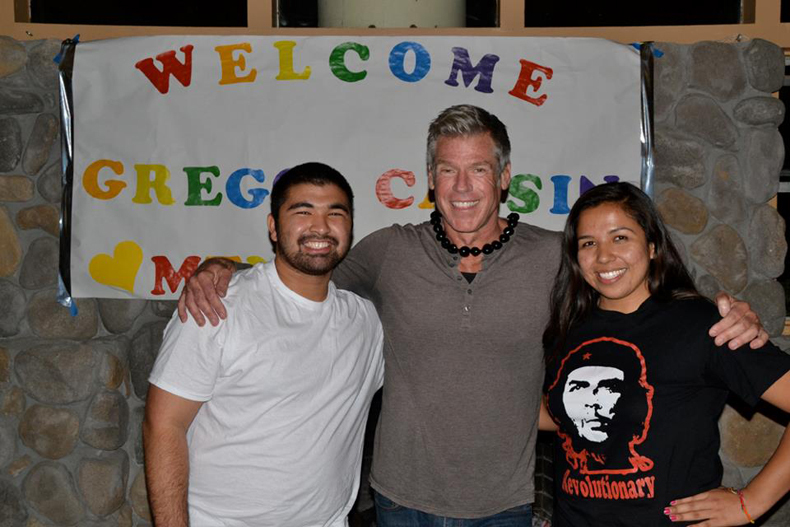 I am extremely thankful to have met him and am thrilled to witness more miracles with Gregg." 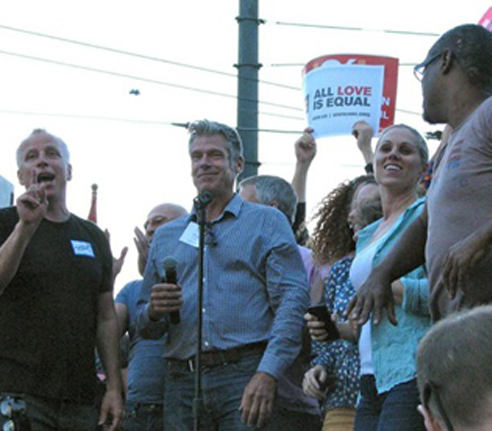 "You immediately engaged people from all walks of life (homeless, permanently housed, lesbians, gays, transgender, black communities, Latinos, and so many others) in a genuine way. You used your conflict resolution skills, challenged the young people to think differently, and allowed them to express their anger and differences in a very supporting and caring way. This allowed everyone to feel safe in a challenging situation. What was most admirable was your ability to make people feel loved and heard. As you facilitated the large groups, you were clear, fostered open participation with respect to youth culture, norms, and the participants' diversity. You demonstrated effective verbal communication skills. You developed rapport with participants, and practiced active listening. You gave people feedback about what was said, you provided a brief summary when needed, and you made time for those who may have not said enough. What was most impressive was your ability to honor and recognize and ensure inclusiveness. You were able to provide a climate of safety and trust and embraced all different learning styles. 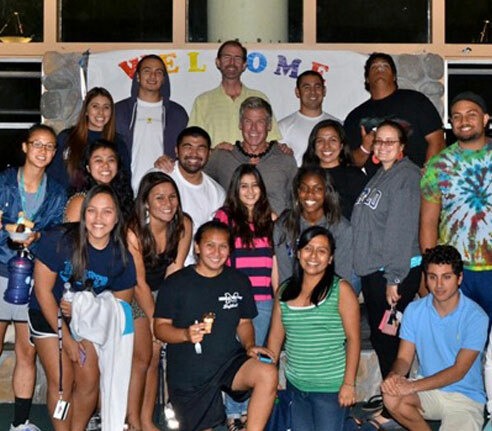 The most important part of what you brought to the retreat was your genuine and caring heart. You spoke from the heart and when people do that, its never wrong. You've been touched in a way - that was clear, and your openness is a true testament to the passion within you. "Gregg Cassin is a truly masterful facilitator. He is not one of those slick or over-polished personalities. Rather, he is genuine, warm, and humble—with a wicked sense of humor that puts people at their ease. He makes people feel that he is 'one of us.' He has that ability—so rare among professional facilitators—to speak from his heart, respond to the real needs of a group in the moment, and make it safe for others to speak honestly. Indeed, I have never seen anyone who can help a group “open” so effectively, making it instantly safe for them to explore even sensitive issues with both kindness and compassion." “'If love isn't the most important thing in your life, then what is?' 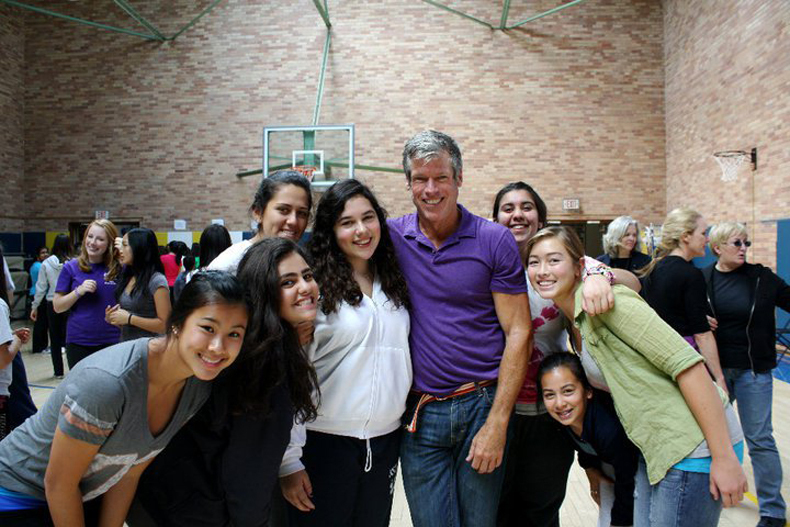 This is the main message I got from Gregg’s incredible interactions in my Social Living classes at Berkeley High. 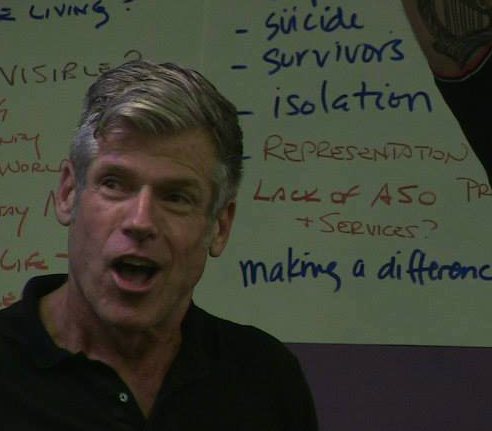 This gay white man (speaking to an ethnically, racially and culturally diverse audience), who was invited to talk about living with HIV, always left me and my students with so much more than AIDS 101. 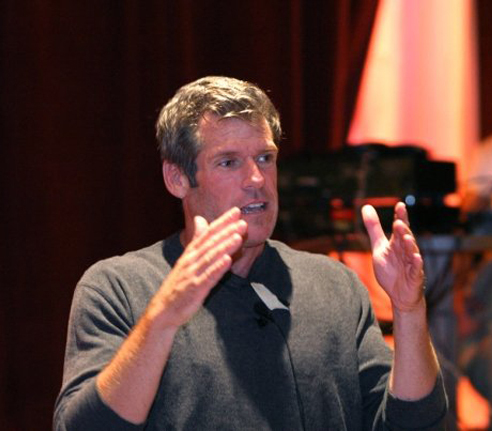 His ability to mix humor with the seriousness of life’s challenges and to share how our choices have consequences have always made Gregg one of my favorite and most powerful speakers." "Gregg Cassin is a consummate catalyst for personal growth. In a gentle yet passionate way he leads workshop participants and lecture audiences to a deeper more intimate place within themselves. With a combination of compassion and humor he creates an environment in which universal principles emerge from specific topics. His themes always address the profound sacredness and possibility inherent in being human." I think the world of Gregg Cassin. He personifies a positive attitude. He realizes that it’s in the being there for others that we open up ourselves. 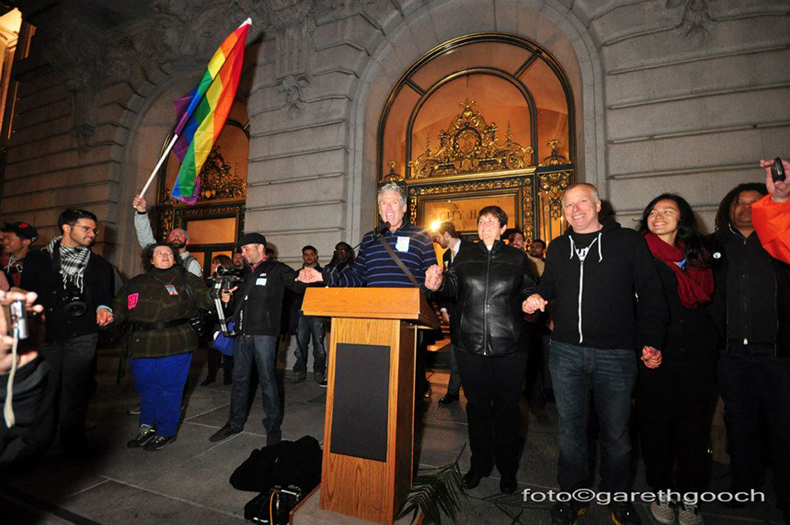 Photos of my work as a facilitator, speaker, and LGBT activist. Hopefully the spirit and the power of these events can be easily felt. © 2014. Gregg Cassin All Rights Reserved.